CastelBrando lies in the medieval village of Cison Valmarino, in the heart of the Prosecco hills , between Venice and the Dolomites. The castle, one of the largest and oldest in Europe, includes a 4 star hotel with elegant rooms and suites, a spa & wellness centre, a sophisticated restaurant, a family pizza restaurant as well as pubs, and wine bars. It also offers 3 theatres and 7 meeting rooms, a cultural centre with different museum areas and the 18th century San Martino church. 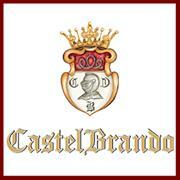 The roots of CastelBrando date back 2000 years and represent an open page on the history of this territory and people, leaders and famous people, who made heroic deeds. Inhabited since prehistoric times, the first castrum was built during the Roman era, as a defense and control structure of the Imperial Via Claudia Augusta, which connected the Adriatic to the north of Europe. Over the centuries, the castle went through series of extensions: became the home of the Da Camino family, which completely encircled the imposing battlements of the Guelph and built a central tower, then passed under the control of the Republic of Venice, who gave it as feud first to Marin Faliero and then, for merit-at-arms, to the captains of fortune Giovanni Brandolino and Erasmo da Narni, better known as the Gattamelata. In the sixteenth century, under the Brandolini family, who more than others marked the history and character of the estate, the castle was extended in its central part with a Sansovinian touch, acquiring a Venetian elegance. The latest to be built is the eighteenth-century horseshoe-shaped structure designed by Ottavio Scotti of Treviso, an imposing and linear structure, of rigorous classicism. The castle remained the property of the Conti Brandolini until 1959, when it was sold to the Salesian Fathers, who turned it for use as a center for spiritual studies. In 1997 CastelBrando was bought and completely restored by Quaternario Investimenti Spa, which brought back to it the charm of its glorious days.